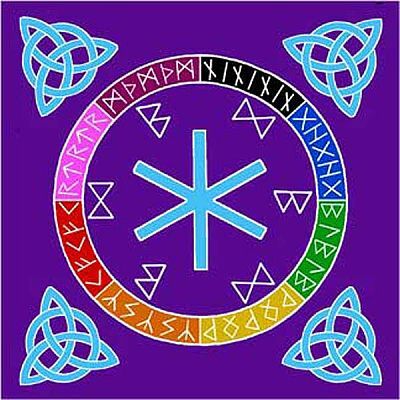 - The Mother of all runes is surrounded by Norse runes for healing and good luck, in the form of a mandala. Altar cloth measures 3 feet square. Rayon batik. Do you have any other questions about our Rune Altar Cloth?